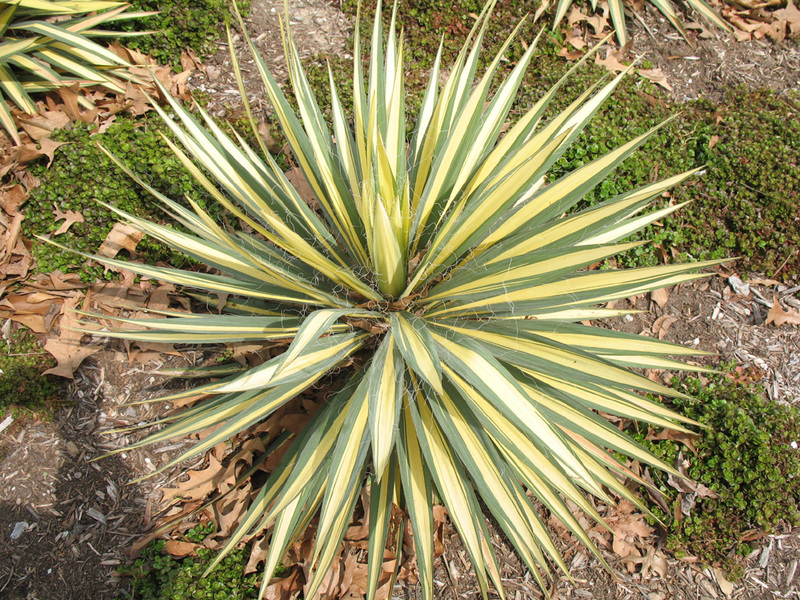 Comments: This yucca produces a rosette of narrow green leaves with yellow margins. When mature it sends up a three foot floral stalk with white bell-shaped flowers. Yuccas do best in relatively dry landscapes in full sunlight. They are well adapted to rock gardens and other places where the soil is relatively dry. Keep this yucca at a safe distance from where people gather because the tips of each leaf is stiff and pointed like a dagger.